The government is set to overhaul the leasehold system in England, banning new houses being sold as leaseholds and reducing onerous ground rents to zero. 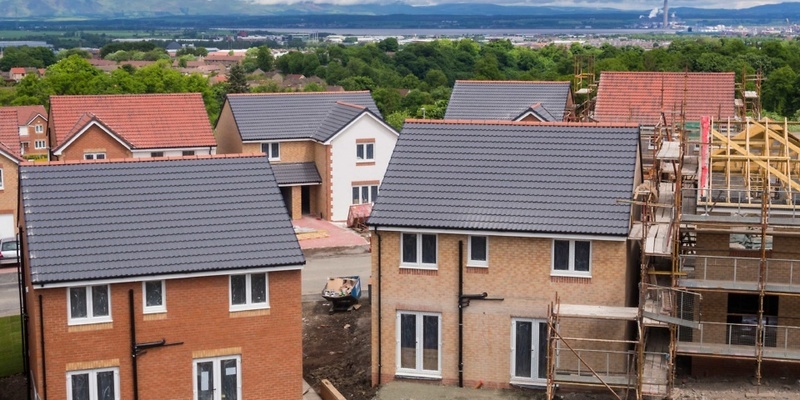 The announcement is the culmination of a consultation into unfair leasehold practices launched in July, and will see some respite offered to buyers of new-build homes. The government has also pledged to make it easier for existing leasehold property owners to buy a share of their freehold – although exactly how is not yet clear. Two key measures will be introduced for people buying new-build homes. Leasehold new-build houses will be banned, except for in ‘necessary’ cases – such as those sold through shared ownership or those build on land with ‘specific restrictions’. Equally significantly, ground rents on new long leases – both for houses and flats – will be set to zero. Finally, developers will be ‘strongly discouraged’ from using Help to Buy Equity Loans on leasehold houses. The government said it will work with the Law Commission to improve the process of buying freeholds, making it ‘easier, faster and cheaper’. In addition, it said ‘clear support’ will be offered in terms of redress for those facing punitive clauses – such as onerous ground rents and excessive permission fees. Freeholders and leaseholders will also be given equivalent rights to argue what they consider to be unfair service charges. Why is leasehold being reformed? There are several key areas where leaseholders (and aspiring homebuyers) have been left out of pocket by what the government considers to be unfair practices. While the developer Taylor Wimpey set aside a compensation fund for leasehold buyers earlier this year, this has brought little respite to homeowners – some of whom have described themselves as feeling like tenants in their own properties. Ground rent clauses: some leasehold new-build homes include a clause that sees their ground rent charge double every 10 years. This means that in the long run, owners could find their home to be worthless when they come to sell. Freeholds being sold off: developers have been selling freeholds on to investment companies without telling leaseholders who have been affected. While this is legal, it has resulted in some homeowners facing punitive ‘permission fees’ to make changes to their property, and being quoted an excessive price to buy their freehold at a later date. Mortgage issues: earlier this year, Nationwide became the first mortgage lender to refuse to grant mortgages on homes with unfair ground rent terms. While protecting new buyers, owners may find it difficult to sell on their homes with ground rent clauses – especially if other banks follow suit in future. To learn more about these issues, check out our story on the launch of the leasehold consultation. In July, the government launched a consultation into unfair leasehold practices, which received over 6,000 responses – the majority of which were from buyers of leasehold homes. Have you had a leasehold issue? If you’ve bought or are buying a leasehold home and have experienced problems, we want to hear from you. Drop us an email at money-letters@which.co.uk. If you’ve already contacted us about a leasehold problem, rest assured that we are working our way through your queries.